Welcome to the Disney Parks Moms Panel. Your trip to the Happiest Place on Earth will be here before you know it. 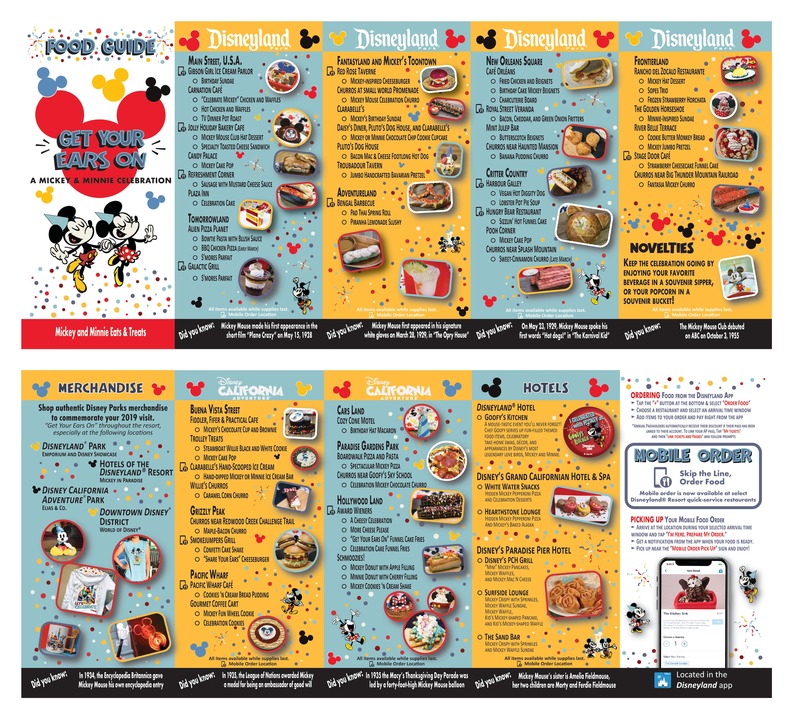 With so much to see and do at both parks for the amazing Get Your Ears On celebration, you will definitely want to do some planning prior to arrival to make the most out of your visit. Mickey and Minnie's 90th celebration brings some amazing food, entertainment, and merchandise to the Disneyland Resort. I recommend viewing the special Get Your Ears On Food Guide to view the exclusive eats and treats offered for this celebration. My favorites were the Mickey Mouse Celebration Churro, Lobster Pot Pie Soup, and Cheesy Celebration hot dog, but there are really endless options at locations throughout both parks. I also recommend viewing the Daily Events Schedule for April 28, 2019 to make time for some of the great entertainment offered on this day. You won't want to miss the return of Mickey's Soundsational Parade with some all-new floats as well as the brand new nighttime spectacular Mickey's Mix Magic featuring a high-energy soundtrack and projections. I also love the limited-time "Get Your Ears On" Celebration Dance Party in Tomorrowland featuring unique Characters. When it comes to shopping, you will find endless merchandise featuring the big cheese himself. I particularly love all the Mickey Mouse items featuring vintage and retro Mickey designs. Don't forget there are also some special limited-edition novelty souvenirs available with food and drink items in the parks as well like the Mickey Mouse Celebration Sipper and Minnie Mouse Kitchen Sink Sundae, for example. I hope this helps, and See ya Real Soon!